Half Moon is a food service business with over 20 years of experience in serving the people of New York at many events and street fairs. We sell authentic American food with a twist of cultural fusion, such as organically grown scrumptious fried chicken bites, mouthwatering baked macaroni and cheese minis, and our favorite southern classic: candied yams. 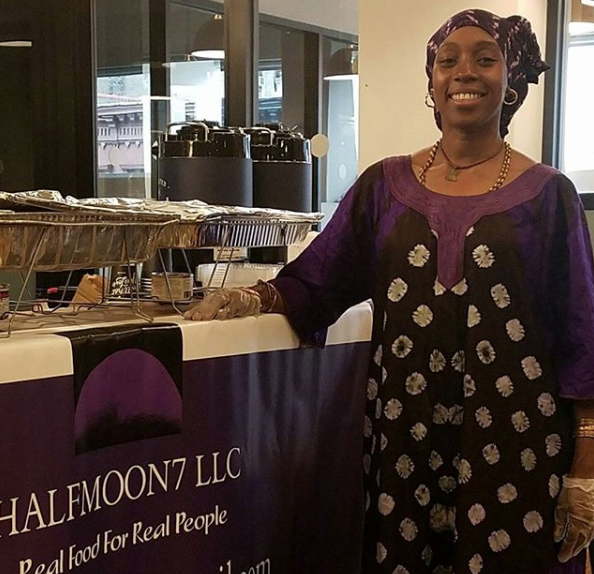 Halfmoon7 Catering cooks out of The Brooklyn FoodWorks Incubator Kitchen in Brooklyn, NY. A committed learner, long-time entrepreneur, Theda is well-versed in a variety of cuisines including American soul food, Caribbean, Indian, and Italian; she has learned authentic techniques by cooking and learning alongside women from her religious community, who derive from a vast array of ethnic and cultural backgrounds. In addition to serving food, Theda is a talented singer and actress and offers the option of musical entertainment to accompany her delicious meals. Start Small helped Theda form a legal structure for her catering business.